Oddly enough, every time I step through the door into a Fest for Beatles Fans – whether it’s held in New Jersey, New York, Chicago, Las Vegas, or Los Angeles, I hear Simon and Garfunkel singing. Yeah, you heard me: Simon and Garfunkel. Home. Going to a “Beatlefest” (as we used to call it) means coming home again. Mark and Carol Lapidos always say that the fest is a Thanksgiving Dinner without the family arguments. And that pretty well sums it up. All the usual characters are there…the same family members we’ve seen over and over for the past five, ten, twenty (or more!) years. You know, Michelle and Jessica in their flowing, glorious attire and 10-12 inch heels. 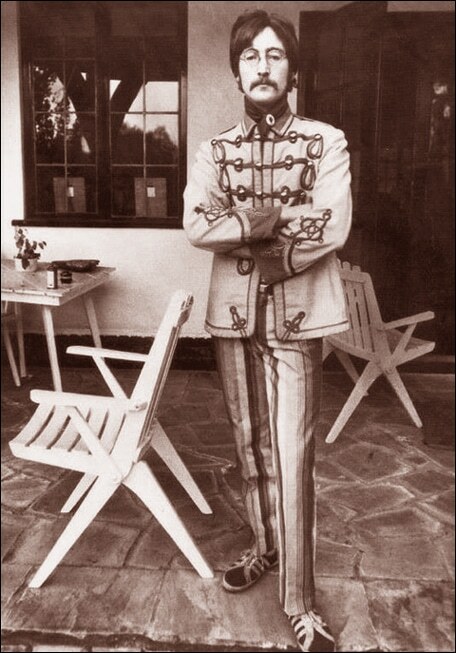 The man who has every elegant Beatle suit ever tailored. That group who sets up a full band in the lobby and sings away, all night long…and the tanned, smiling man who dances to every, single, solitary song. Mark Hudson with his “love-is-a-many-splendored-beard” and his crazy-mad command of “Working Class Hero.” The fresh, hopeful teens out to win the “Battle of the Beatles Bands.” Jim Demes who works his buns off with a sincere smile ever on his face. Bruce Spizer who barely chuckles when I call him a “Beatleseffin’pedia.” Gregarious Judith, supremely talented Eric, and our sweet friend, Dara. My family. Our family. Home again. We do the traditional things. We dance to the sounds of Liverpool’s nightly concerts. We take part in the trivia contest. We go to Jude’s Sunday morning Early Bird speech in the Main Ballroom (Hint! Hint!) on “The 180 Hardest Days of The Beatles Career.” We watch “A Hard Day’s Night” on Friday evening just before the Author’s Symposium. We get autographs from our lifelong heroes…and at least once during the weekend’s span, we just stop and sing along with The Beatles. It’s at that moment that we remember why we came here: for the friends, of course. For the family. For the fun and the programs and the laughter and the carefree moments out of time. But most of all, we have traveled here to celebrate our champions, The Beatles…to lift a glass or two and say, “Those were the days my friend.” To remember. We stand beneath the posters of their bright, 1960’s smiles, and we recall a time less harried, less riddled with care, less uncertain, and less angry. We remember the hope that was ours and the days that stretched ahead golden and full of promise. And it reminds us that this can happen again, if only we try…if only we stay true to those things in which we once so ardently believed. At the Fest for Beatles Fans, we come home to ourselves…to whom we were and to whom we can be again. Join me March 20-22 and be reborn. In Rye Brook, New York, YOU are waiting for you. I wouldn’t miss that appointment. 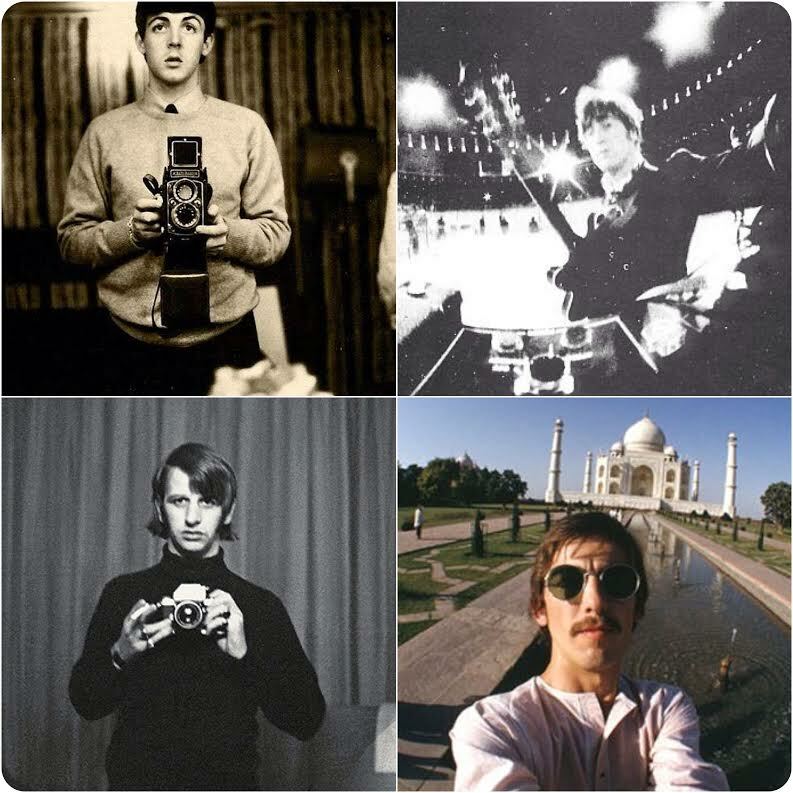 What do the Beatles have to do with selfies? My I-pod is eclectic, and up next are The Beatles, harmonizing in my ears. “She Loves You” is quickly followed by “Hey Jude” and suddenly, I see it! What made The Beatles incredibly timeless was not their selfie-ness, but their selflessness. Instead of focusing on themselves, The Beatles focused on us. Sure, the boys started out at Square One with songs that asked the girl to “Please Please Me” and to “Love Me Do.” But with a tiny bit of confidence and experience under their belts, John, Paul, George, and Ringo relinquished self-adoration for something bigger. They began to focus out, not in. In the years to come, The Fab Four would give us Lovely Rita, Dear Prudence, Mr. Kite (and company), Sgt. Pepper’s Lonely Hearts Club Band, Mean Mr. Mustard, Rocky Raccoon, Maxwell (avec his silver hammer), Bungalow Bill, Julia (a very real girl), Girl (deep breath now! ), that nameless lass who was finally, finally leaving home, Michelle, the girl who graciously permits Paul to drive her car, Desmond and Molly, JoJo, Sweet Loretta Martin, Eleanor Rigby and Father McKenzie, the man who blew his mind out in a car, Nowhere Man (closely resembling John Lennon, but not a clear-cut selfie), the girl who doesn’t miss much, athletic Mother Superior, Darling (of Oh! ), You Who Never Giveth Me Your Money, Little Girl (who’d better run for her life…if she can), and oh so many more. “The Lads” populated our world with people like us and unlike us. They created a cast of characters with whom we identified, related, or rejected. They spun stories that drew us into other magical worlds. Through the eyes of these four Liverpool boys, we plunged under the sea to live in a submarine. We tended an octopus’s garden. We rolled up for the Mystery Tour. We were happy just to dance with them. We reluctantly hung our red dress back up in the closet. We discovered what it was like to be dead. We let them take us down to Strawberry Fields. We anguished over lost friends in an eerie L.A. fog, and we raged on the brink of Revolution! We lived lives beyond our tiny rural, suburban, or even urban worlds. We reached out. John was the only one who really wrote “selfies,” and we were so unaccustomed to hearing these boys speak of themselves that we completely overlooked what John was saying. When he penned, “I’m a loser, and I’m not what I appear to be,” we assumed he was talking about someone else…another “character,” as it were. When he cried for “Help!” we thought it was just a heady theme song. When he said, “I’ve got every reason on earth to be mad, ‘Cause I just lost the only girl I had,” we thought it was a fictional scenario. That’s how infrequently these boys focused on themselves! Look, there’s absolutely nothing wrong with a little selfie now and then. It’s a good place to start. After all, you’re asked to love others as you love yourself. But once “selfied”…move on. Because in the end, (after all) the love you take is equal to the love you make. Our own John Lennon voiced a similar opinion. “Living is easy with eyes closed,” he sang. And he was right. Life’s so much smoother if you don’t know the details. But wait!! Was John advocating living that way, or was he pointing out (in typical Lennon satire) how very wrong that kind of attitude is? Wasn’t John asking us to examine our actions just the way he always did in “Instant Karma” or “Happy Christmas (War is Over)” or even in “Revolution”? I think what John was pointing out is that “living with eyes closed” is NOT what we’re called to do. It’s not how we’re called to live. Watching hours and hours of current events and televised news may not be the happiest habit. And certainly watching it without putting any lifestyle changes into action is fruitless and empty. But maybe this year, we can OPEN our eyes, take a good look at the world around us, and then do something. “Why in the world are we here? But sometimes, it feels that way, doesn’t it? and then, an even darker one than that. Sometimes, your cup runneth over, but not with joy – with sorrow. 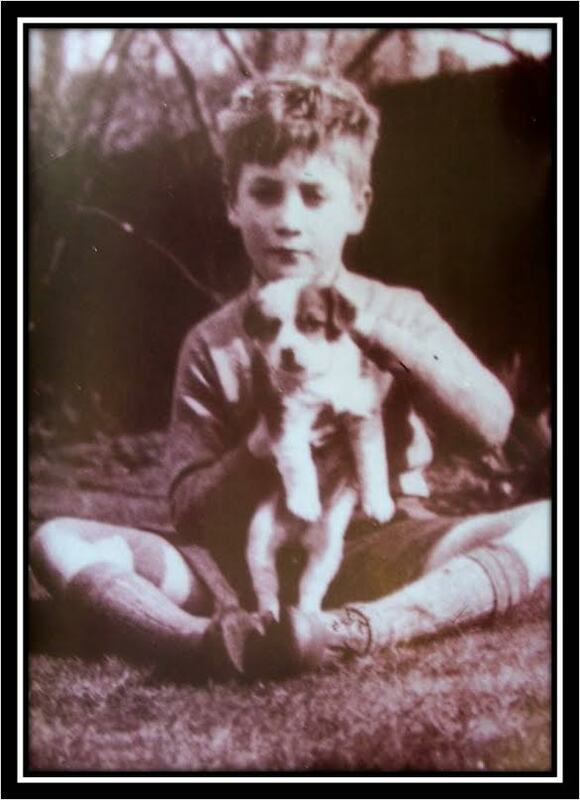 John Lennon felt that loneliness and isolation, too. In fact, in Strawberry Fields Forever, he cried out, “NO ONE, I think, is in my tree. I mean, it must be high or low.” Many times, he felt alone…out on a limb, cut off from human understanding. We all do. That is when we reach for a MOMENT. Moments come in myriad sizes. They can be as small as a freshly-brewed cup of coffee, a hot shower, a single crimson leaf tumbling along the sidewalk, or a quick smile from someone at work. Or a moment can stand tall and significant: an afternoon shared with your child or a kind email or precious card from someone who has taken the time to think of you and let you know. The best moments are unanticipated…hearing a favorite Beatles song on the radio. Or finding a crumpled $10 bill in your jeans pocket. Having a stranger randomly treat you to Starbucks. But hey, there is nothing wrong with moments that are planned! You can, in fact, begin to inject moments purposely into your day. Plan to get a pedicure or listen to Rubber Soul or Live at the BBC. Plan to curl up with a good book (Shoulda Been There might be nice!). Plan to cut fresh evergreens or pansies to place on your bedside table. Plan to eat a STRAWBERRY or a tangerine. Plan to do something that makes you happy. Planning one special moment for yourself in the day ahead gives you a chance to anticipate “the happy.” If you know that at 3 p.m. you’re going to take a 10-minute break to walk outside or to sip a cup of cocoa or read a few pages in Mark Lewisohn’s Tune In, then all day long, you can look forward to that moment with hope. No matter what else happens, you can move toward that bit of joy with the assurance that at least one good thing is going to occur. I’m a runner, and sometimes, when the run is particularly difficult, I push myself from focal point to focal point, not trying to mentally accomplish the “whole run,” but refusing to quit by saying, “I’ll make it as far as the next mailbox” and then, “Okay, now I’ll make it as far as the next street sign.” Using that technique, I trick myself into enduring the whole four miles; I complete the run bit by bit, moment by moment. It is a page filled with inspiring quotes, lovely photos, good videos, a couple of jokes, some uplifting songs, and an entire potpourri of thoughts to help us endure the race. It’s a collection of thoughts that keep us running, even when we feel like giving up. I invite you to join the Moments page on Facebook and enjoy it. 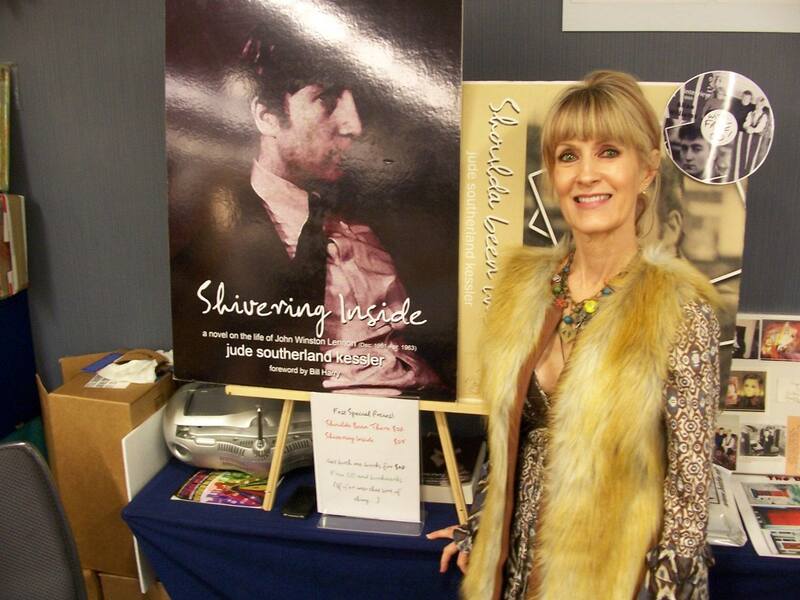 It’s a page for Beatles fans…although we want anyone to enjoy it. It’s a place where those of us who have connected via John, Paul, George, and Ringo can contribute a thought or two. We can post happy songs or inspiring songs like Across the Universe. We can post quotes or videos. Go to the page when you need a smile. Go to the Moments page when you want to give one away. I’ll be there, offering you a moment or two when you need one. And when I need a moment, I’ll run there as well, hoping you’ve left one there for me. Moment by moment, we’ll get by. It happens, of course, with a little help from our friends. To me, Billy J. Kramer will always sound like summer. I first heard “Bad to Me” as we trekked back from City Pool to Bringhurst Park where Camp Denim Deb for Preteens was in full swing. It was deep summer in Alexandria, Louisiana – June bug and Popsicle days. And I was almost 11, or “one teen,” as I insisted on calling it. And it was in that “almost-one-teen summer” that I began noticing boys and dreaming of falling in love. The words poured from our camp counselor, Joanne Wooten’s, transistor radio. Walking single file through sun and shadow – our flip flops wet-smacking the sidewalk – my friends and I sang along…allowing ourselves to fall for the tune and the words and the way they made us feel, even though the hit wasn’t (or so we thought) by The Beatles. The Beatles! They were my world. Well, John Lennon was my world. 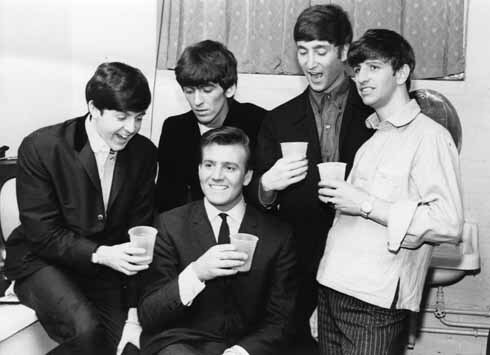 And had I known that he’d composed “Bad to Me” during his May 1963 trip with Brian Epstein to the Costa Brava and the Costa Del Sol, I would have flipped over it. Head over heels! But instead, I fell for the song gradually, mesmerized by the image of “softly sighing” leaves and the gentle sound of Billy J. Kramer’s voice. Slender, brunette Joanne Wooton wore aqua contact lenses and tailored Capri pants. And as a teenager (almost an adult! ), she was beyond cool. So when she informed us all that Billy J. Kramer was from Liverpool, too, and that he was blond, broad-shouldered, and handsome, we swooned. The Denim Debs had never seen Billy’s face, but listening to him plead, “Don’t be bad to me,” we were hooked. It took me ten minutes to figure out that I had named the wrong song. And ten months to get up the courage to speak to Billy again! But since then, we’ve become good friends – me and this tall, sandy-blond NEMS star who wooed me away from John, if only for one small segment of summer. He and his wife have become one of the couples I most look forward to seeing each time we Fest for Beatles Fans-ers convene in New York or Chicago. But this past Fest, as I sat in the Saturday night concert audience with my grown son, Cliff, and heard Billy J. sing the song I had REALLY crooned to my baby as a lullabye, “Bad To Me,” I was overcome with emotion. Suddenly, it wasn’t 2014. It was 1964. And I was flip-flopping back to Bringhurst Park to braid a keychain made from rubber strands of brightly-coloured, waxy ribbon. I was singing along with the other Denim Debs and talking about the futility of attempting a cartwheel on the thick, grey tumbling mat that always smelled of feet. It wasn’t October in Los Angeles as Billy sang. It was long ago…June bug hot and Popsicle cold. When Billy J. offered up “Bad to Me,” it was blue skies and birds on the wing. For me, Billy J. Kramer will always sound like summer. His is the sound of days free from care. A lost innocence. We call it The Fest. We could say “convention” or “gathering” or “conference” or “meeting.” But it’s more than that. 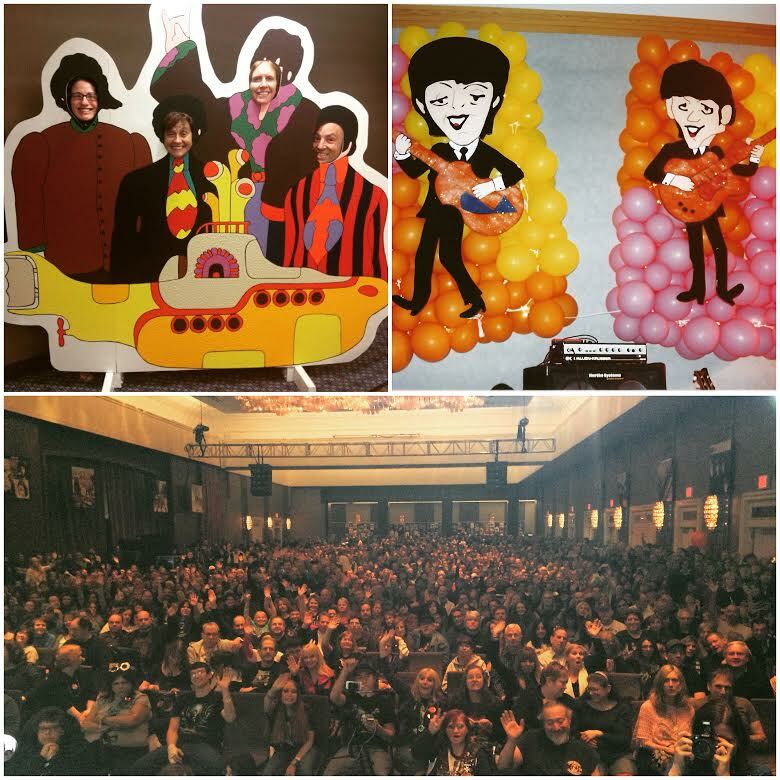 It’s also “celebration” and “party.” The Fest for Beatles Fans – whether it’s held in New Jersey, Chicago, Las Vegas, or L.A. is always so much more than the trite, run-of-the-mill weekend symposium or show. It’s indeed a festival…a joyous fête uplifting of The Beatles and who they were and what they stood for, then and now. It’s a fest of their love. In Los Angeles two weeks ago, we experienced that feeling with an awareness borne from time to think and reflect. Oh there were crowds and we were busy, but we weren’t OVERWHELMED the way we were in February at the New York Fest…we weren’t inundated as we were in Chicago. The authors and presenters and speakers who gathered on the “Left Coast” had moments to digest what was going on and to let the HISTORY of the moment sink in. Directly across from my booth in the Marketplace stood Julia Baird, John’s sister, taking time to have her photo made with every single person who asked – signing autographs and sharing memories. At times, I could feel how very exhausted she was, but like John, she turned no one away. Julia kept smiling and hugging and making each fan feel special and unique. And when they walked away she didn’t roll her eyes or secretly snipe at them. Her love for each person was genuine. I know. I could see. Beside me sat Ruth McCartney, takin’ the mickey out of everyone in her path…especially me. She had a blast from the moment she arrived ‘til the last second that she walked away. Selling her own brand of McCartney tea, Ruth was a force of fun to be reckoned with…a whirling dervish of deviltry. She was all nudge, nudge, wink, wink. Loved it! It was a weekend for standing and chatting with Bob Eubanks who once brought The Beatles to the Hollywood Bowl…a weekend for learning The Cavern Stomp from the lovely Freda Kelly, who (quite fortunately) will never ever change…who will always, as the song says, “stay as sweet as you are.” It was a weekend for laughing with Ivor Davis over Ringo’s 1964 escapades and for smiling from ear-to-ear as Dave Morrell spun his web of loosey-goosey experiences, sharing the moments he spent with John just “horse-doggin’.” Those were the days, my friend. 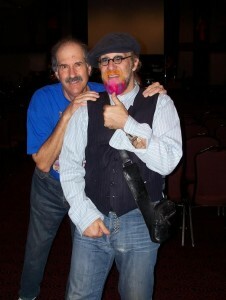 The L.A. Fest was a weekend of music: the rock rant of Mark Hudson, the mad sax of Mark Rivera, and the “Hey Jude” of Mark Lapidos. All reMARKable. It was Denny Laine, Denny Seiwell, and Laurence Juber all WINGing across the stage together…together, minus One. It was Bruce with the serial number and history of every Beatles record ever made and Chuck with a photo of each stop along the concert highway. It was me with 4000 footnotes and Kit with two upcoming books and Michelle and Jessica flowing past in 8-inch platform heels and burgundy “Help”-inspired, hooded capes. It was “Liddy Dave” with his quick wit and Candy with her inborn Beatleness. It was Susan stepping up to emcee us all…and Wally toting his penguin, a wry Thisbe (or Pyramus?). We photographed one another. We made Beatles news for Steve Marinucci and Adam Forrest. We got up the courage to tell Julia how much she meant to us (well, I did). We bought T-shirts and books from one another. We had dinner together. And we laughed. We laughed as if our lives outside those walls realm had vanished, as if Joy was all we had. For one weekend, we were all sixteen again. Someone called The Fest for Beatles Fans a family reunion without the squabbles…and it is. It’s a magical mystery tour where she loves you and everyone feels fine. It’s a ticket to ride to a realm where each quirky person is completely accepted and totally loved. When John Lennon gave his stamp of approval to Mark Lapidos’s idea to create a “Beatles Fest” forty years ago, he was unwittingly endorsing The New Apple…a gathering of creative souls to sing, dance, act, speak, read poetry, do yoga, imagine, and remember. How many days ‘til the next one?